Double Heroine was also aired from November 2010 to September 2011 as a radio drama on Bubka Broadcasting during "Ukkari Channel" talk show hosted by AKB48's "Twin Towers," Akimoto Sayaka and Miyazawa Sae. The roles of Rachel and Asuka were made respectively based on their personalities. There was also a live musical show with the voice actors reprising their roles. 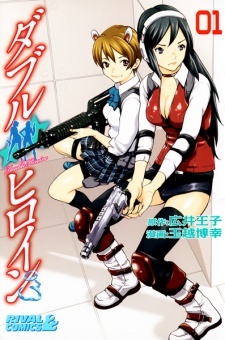 Since the radio drama ended in the middle of the story after "Ukkari Channel" stopped airing, the manga is the only complete version of the story.